The new event center is part of a redevelopment plan to transform the surrounding neighborhood into a vibrant entertainment district with new dining and entertainment venues, hotels and streetscapes. 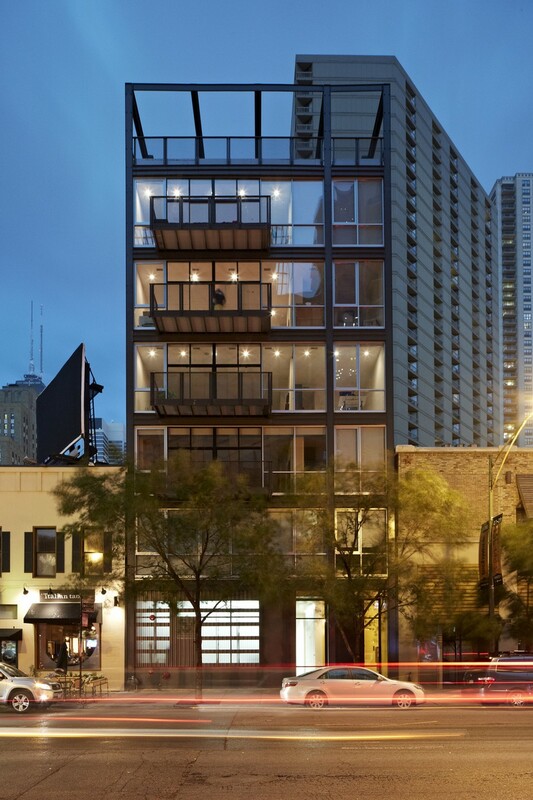 The building’s design is contemporary, but it grows from a study of the adjacent neighborhoods. 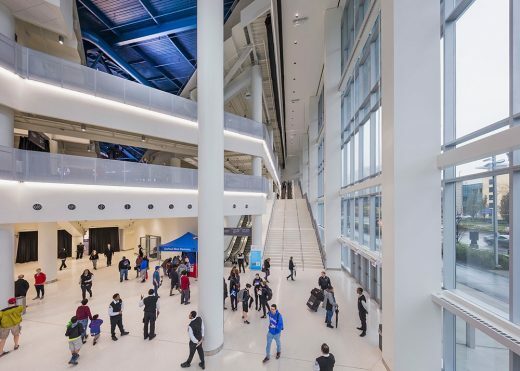 Located at the boundary of the pedestrian-scaled Prairie District and the larger scale of the convention center campus, the event center creates a transition between the two. 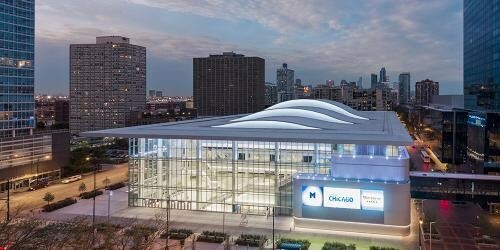 The event center’s main design feature is an inventive roof that swells upward over the arena seating, recalling some of Chicago’s great gathering spaces like Adler and Sullivan’s Auditorium Theater and the Navy Pier Grand Ballroom. 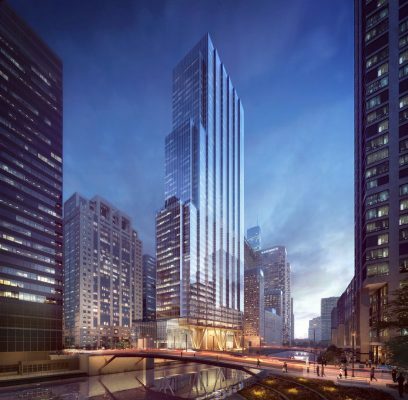 With this elegant curving standing-seam metal roof and lightweight glass walls, the building follows in the Chicago tradition of the lyrical structure, or engineering raised to the level of art. The smooth, arching canopy has long curving skylights to let in natural light during the day and project event lighting out and up in the evening. At night especially, the pattern of skylights will create an instantly recognizable image for the new event center. Smaller scale limestone and channel glass pavilions are located intermittently around the building. The pavilions house restrooms, concessions support spaces, stairs and elevators. At night, the glass will be lit from behind, its glow visible to pedestrians at the street level and patrons in the main concourse. 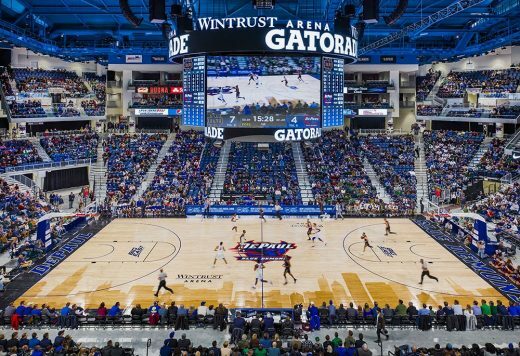 The arena is located on the site’s most public spot, on the corner of prominent streets Cermak and Indiana. A tenant fit-out sports bar is located at this corner to enhance the activity at this important location. This placement and the building’s transparent facades help to create an architecture of experience in which the activity energy and excitement of the arena is felt on the street. Arena seating parts at the southwest corner, offering passersby a glimpse of the events inside, as well as the Demon Deck—a cantilevered section of seats reserved for student fans of the DePaul Blue Demons. 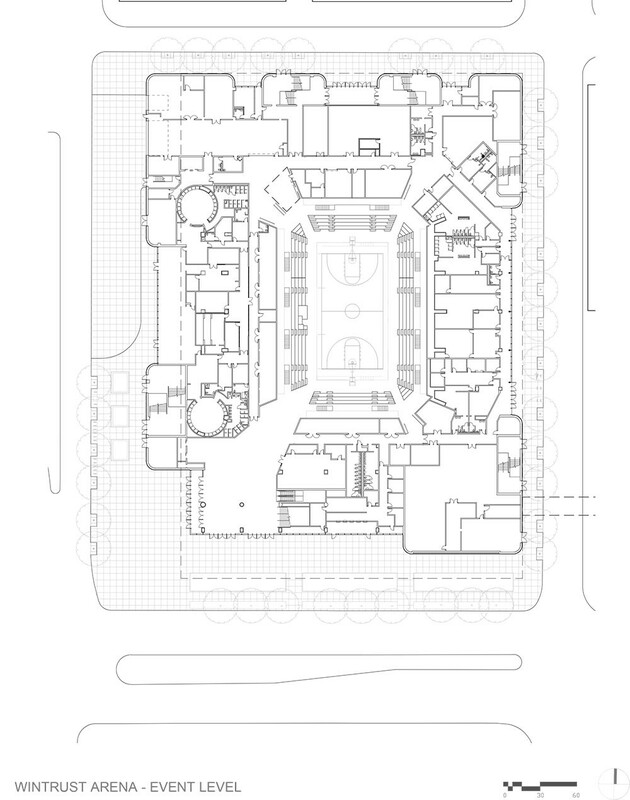 The event level of the 10,600-seat arena is one story below street level, putting the activity of the main concourse adjacent to the sidewalks. 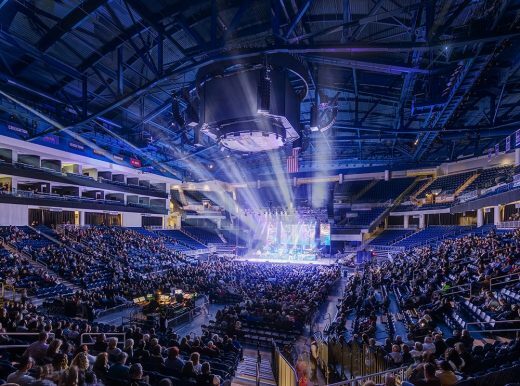 Some of the event center’s amenities may be accessible directly from the street. Support spaces such as loading docks, mechanical spaces, backstage areas, and locker rooms are hidden away. 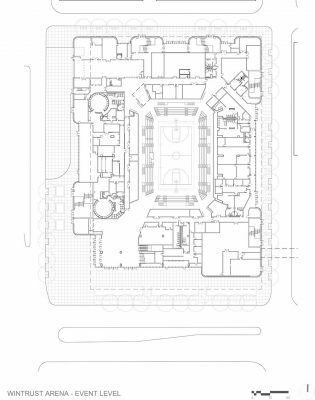 However, restaurants, retail, games, and concerts are at street level—accessible and transparent—contributing to the life of the neighborhood. Architect of Record: Moody-Nolan Inc.